These chunky chaps are made entirely from Cocoa Loco's creamy, solid organic milk chocolate.Cocoa Loco is a British company who produce award winning handmade chocolate using the finest single origin beans from the Dominican Republic that are Fairtrade and Organic all the way! Proof that the most delicious chocolate can be 100% ethical too. These are sweet in both design and taste! 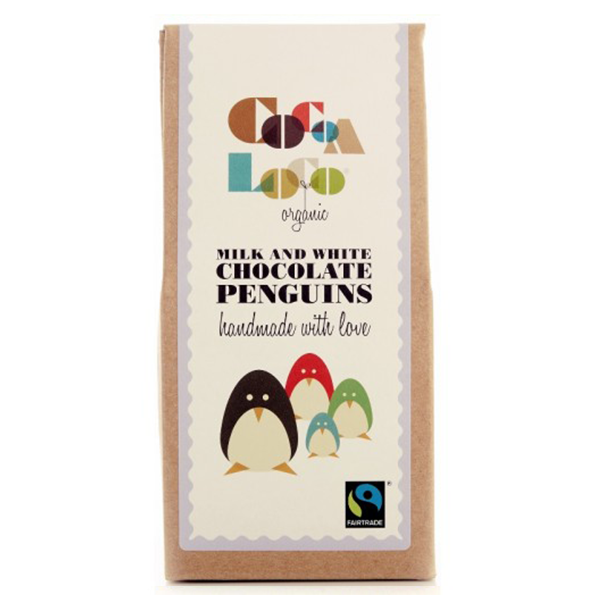 Gorgeous chocolate and penguins are thick and decent size for you to only have one or two. Love so much bought two packs; one as a gift.